Tektronix, Inc, a leading worldwide provider of test, measurement and monitoring instrumentation, represented by TekMark Australia , has unveiled an extension to the TDSUWB oscilloscope software utility. The new Tek UWB WiMedia2 software extends the UWB debug and analysis capabilities of the Tektronix DSA70000, DPO70000 and TDS6000C series, the industry's high multi-channel performance real time oscilloscopes, to include real-time analysis of Ultra Wideband RF and electrical signals. UWB wireless technology promises a data transfer rate beyond 1Gbps to meet the demand of data-intensive future applications. With the Tektronix UWB WiMedia2 application, engineers will be able to design, debug, and validate performance of WiMedia Ultra Wideband radios used in Certified Wireless USB, WiNet and High Speed Bluetooth consumer electronics. UWB is a wireless radio technology that uses pulses or waveforms compressed in time, allowing frequency energy to be spread over a wide bandwidth to low levels, enabling UWB radios to share spectrum with existing narrowband transmissions, without causing undue interference. Extensions within Tek UWB WiMedia2 for the WiMedia Alliances' UWB Common Radio Platform offer single-button tests for efficient debugging and RF compliance testing of WiMedia UWB systems, including demodulation of the RF waveform and RF signal quality measurements including constellation patterns, E.V.M., Power Spectral Density, ACPR measurements and Spectrograms. The information-rich display of modulation and time domain frequency domain waveforms offers new insight into Ultra Wideband radios. Tektronix’s UWB customers worldwide tell that it is important that test equipment be able to accommodate without modification the regulatory requirements of all regions. Tek UWB WiMedia2 demodulates and measures all WiMedia Bandgroups, frequencies and Time Frequency Codes, when installed on DSA70000, DPO70000, or TDS6000C oscilloscopes with sufficient real time bandwidth. Tek UWB WiMedia2 provides UWB design engineers with essential debug and compliance testing capabilities. Tek UWB WiMedia2 automatically identifies Time Frequency Code (TFC), frequency of operation and hopping sequence, and automatically identifies data rate from the RF waveform for unprecedented ease of use. The results of all combinations of TFCs, data rates and bandgroups are tabulated in standard csv format providing fast and easy documentation of all RF measurements. To complete the UWB solution, Tektronix also provides the industry-leading signal generator, the AWG7000 series that enables UWB developers to generate WiMedia signals for complete receiver verification. With its 20GS/s sample rate and 5 GHz bandwidth, the AWG7000 is capable of direct generation of UWB signals. Also available for download are sample WiMedia radio waveforms that can be used to drive UWB test signal generation from the AWG7000. 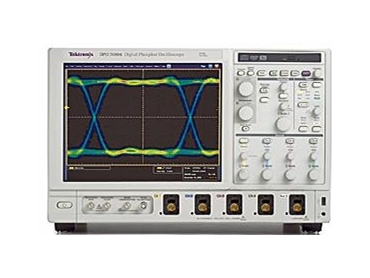 The Tek UWB WiMedia2 software from Tektronix enables Tzero and its customers to more easily build and test solutions, built with advanced ultra wideband technology, according to Tzero Technologies. Tek UWB WiMedia2 provides an intuitive interface and the tests necessary to validate designs, all with one-button simplicity. This reflects the advanced expertise that has been built into the software and user interface. Tek UWB WiMedia2 will help speed time to market of a wide range of products. The Tek UWB WiMedia2 is currently pre-release software and is available for download from the Tektronix website for a limited time without charge.